You’ve probably been hearing a lot about content recently. It seems that everyone is talking about content strategy and content marketing, and how its revolutionising the marketing landscape. Content is the shiny new buzzword of the online marketing elite — but is there substance behind the hype? Should you believe the Content Marketing hype? Actually, while I’m a staunch advocate of the power of great content to transform business fortunes, I simply don’t subscribe to the notion of content as the latest marketing fad. Content marketing isn’t new, and it isn’t transient. Content has always been the cornerstone of effective marketing. Think about it. The best (or at least the most popular / engaging) content attracts the biggest audience and delivers the biggest reward for content creators. It’s always been like that. Great content gets great results — that’s nothing new. In publishing the books that hit the best-seller lists and make a fortune for their authors and publishers are the ones that tell the most effective story, that capture the imagination of their readers, that practically demand to be shared and discussed. In television it’s the programmes that connect and engage that win the ratings wars. At the box office it’s the movies that thrill, wow, terrify or compel that break opening weekend records. In other words it’s content that drives success. 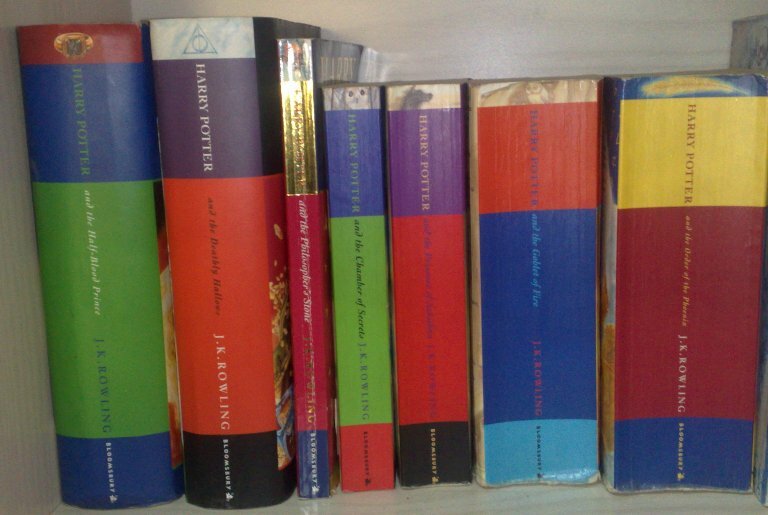 J.K. Rowling didn’t leap to publishing super-stardom with the Harry Potter novels through exploiting clever gimmicks and loopholes. Her meteoric leap to wealth and fame was down to the creation of engaging content that struck a chord with her readers. Think about TV advertising, or billboards, or blog posts, or apps — in fact think about anything you like. Which are the ones that really stand out in your mind? Which of them do you remember? The ones with the most compelling and engaging content… right? So yes… I believe content is a powerful — perhaps the ultimate — marketing tool. But beware of “experts” who peddle content as the shiny new marketing panacea. They patently don’t “get” it! What’s that got to do with marketing your business online? Understanding the power of content to attract and engage new and existing buyers for your products and services is fundamental to effective marketing — not just online, but off-line as well. It’s always been like that — only now a few things are “dovetailing” to make a strategic approach to delivering effective content the most important component of your digital marketing success. Search engines are winning the battle for relevance: it’s taken a while, but search engines are slowly but surely winning the battle to deliver the most relevant content to their users. They’re not perfect… and probably never will be… but with Panda, Penguin, Hummingbird and whatever comes next in the algorithm update managerie, Google is gradually closing the loopholes, purging search spam and rewarding more relevant, high quality content. Expect other search engines to follow suit. Bottom line: quality content that adds value gets you found. Buyers are more demanding than ever: people don’t want to consume your latest marketing missive promoting your latest and greatest product or service. They won’t simply give you their valuable attention — you have to earn it with useful, relevant, engaging information that solves their problems, answers their questions or helps them in some other way. If you’re not providing that content they’ll find it somewhere else. When they’re ready to buy guess who will get the sale. Bottom line: quality content that adds value gets you read. People are more connected than ever: social media makes it so easy for your buyers to share great information with their peers. When they find something engaging, compelling and useful their instinct is to let their connections know about it — and social media means they’re telling hundreds, thousands, even tens of thousands of their peers. Bottom line: quality content that adds value boosts your reach. For more on how an effective online content strategy can help your business, and much more besides, subscribe to my mailing list (no spam, honest) by filling in the form on the sidebar. Once you’re subscribed I’ll keep you up to date with blog posts, e-courses, webinars, books and more to keep you one step ahead in the content marketing race.